How hard you hit the notes. Those are just some ideas to add to the complexity of the sheet music. But basically I'm wondering how complex sheet music can get when it tries to encode every feature possible. By "complex" I just mean the visible look of the notation, rather than how hard it is to play. Doesn't matter the instrument, just whatever results in some of the more complex notations you can construct. It's interesting you use the word "complex." I was hesitant to answer for fear that this question was too opinion-based (and it might still be), but your use of this term made the answer very clear: consider the music (and notation) of the New Complexity movement. 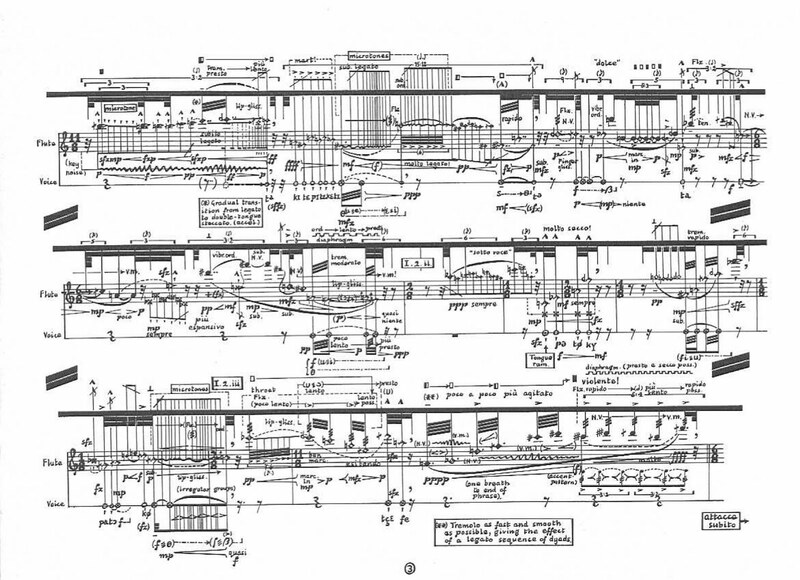 Ferneyhough is one of the leaders of the New Complexity movement, and any score of his you find will be among the most complex out there. a relative dynamic, e.g. poco cresc. an articulation mark e.g. . (staccato) or - (tenuto). You sometimes get . and - combined.